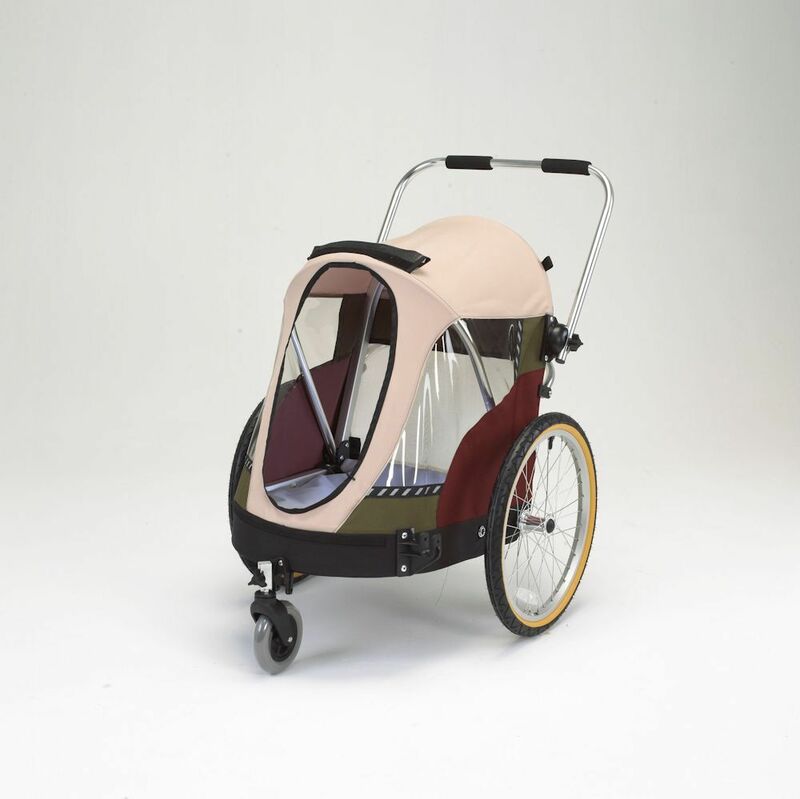 Note: The Large Wagalong is designed for pets under 80lbs. Do you have a smaller pet? Consider our Pet Wagalong Standard. Even large pets may need a break from all that running around. Take them to that special park or for a ride in the country without tiring them out before they get there. The Wike Wagalong Large Pet Bicycle Trailer is the perfect bike trailer for large pets (or two smaller ones!). 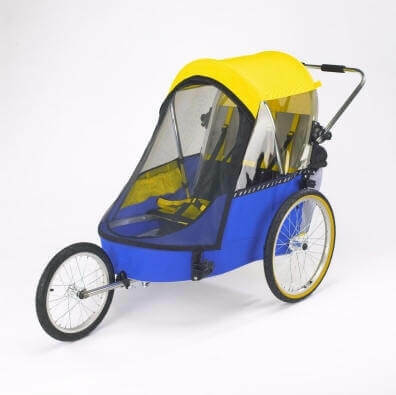 Smooth, stable, and roomy with accessories and safety features perfect for your pet, there’s no need to leave your pal behind when you go for a bike ride. 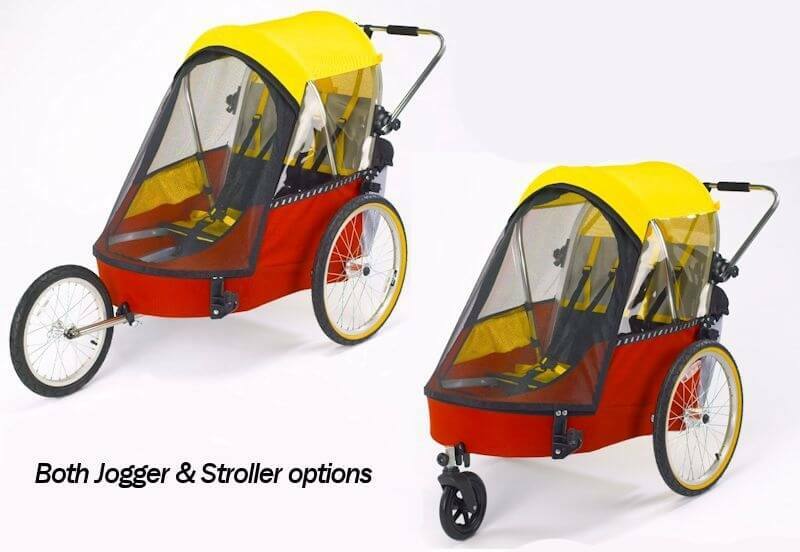 If you need the jogging or stroller upgrades, you can purchase the associated options. 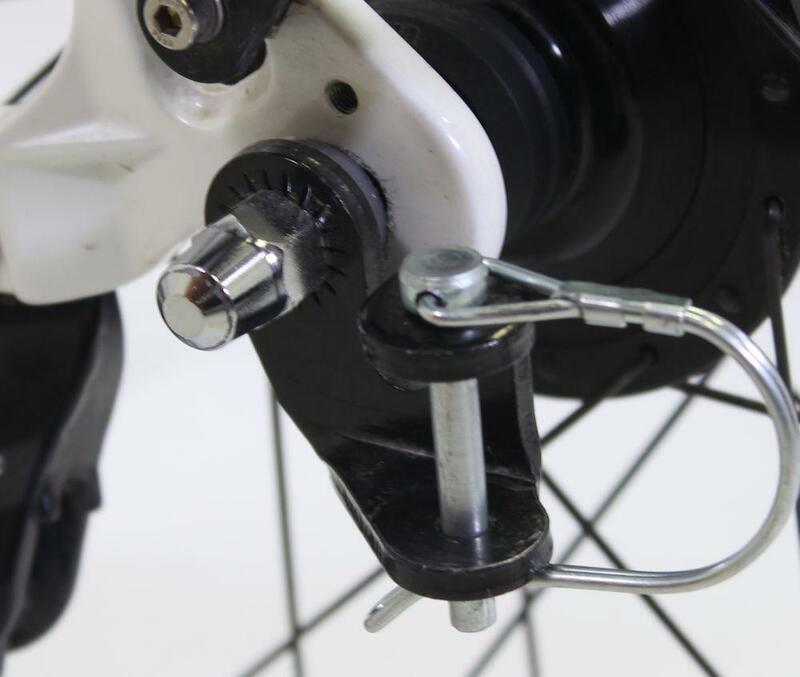 The base product is a bicycle trailer only.